Cocoa Girl Cottage: Lady, it aint gonna fit! Lady, it aint gonna fit! Yea!!! 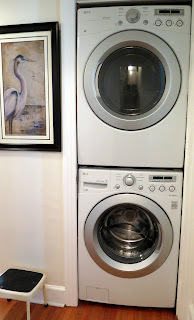 The new stack-able washer and dryer are in. The delivery guy walks to the spot where I direct him and I say, "put it in there." He looks at me and says, "Lady, it ain't gonna fit." I reply, "you haven't even measured--I measured, it will fit." He pulls out his measuring tape and quickly does his thing and says, "Lady, it ain't gonna fit." I reply, "Yes it will, I measured!". He stomps out of the house and unloads Cocoa Girl Cottage's new washer & dryer and brings them in the house. The entire time, he is mumbling and grumbling, it ain't gonna fit.... Then my husband walks over and he loudly proclaims to my husband, "It ain't gonna fit?" My husband looks at me for direction. I say, "I measured, it's gonna fit!" Wa laaaaa!!!! They fit!!!! Never doubt a woman on a mission! 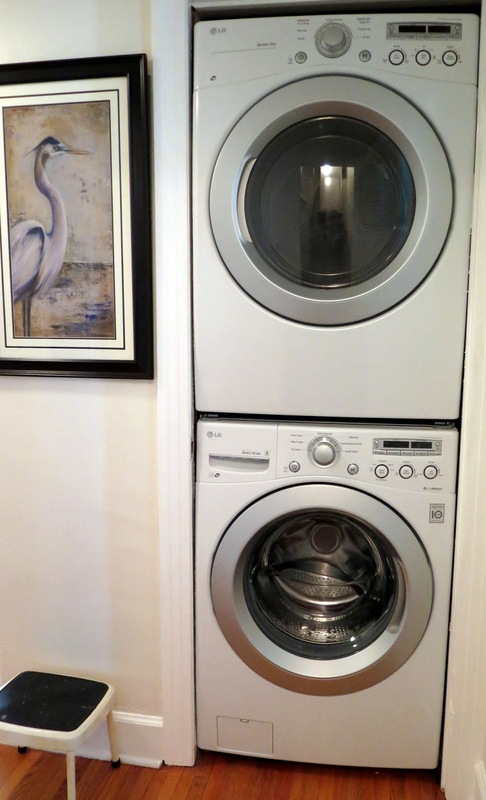 They work awesome and my guests are so happy to have brand new laundry facilities to keep up with their vacation clothes.